My pink stars quilt top is done - now it needs to be quilted . 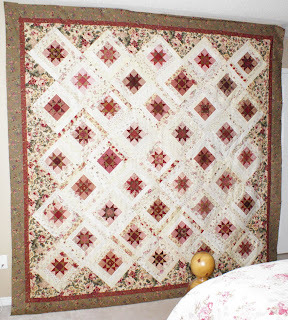 It measure 100" x 100" so I am thinking about sending it out to be done instead of attempting such a large quilt myself. I've started putting together an orange peel design, but I don't yet have an complete quilt idea in mind. I'll see how it evolves.